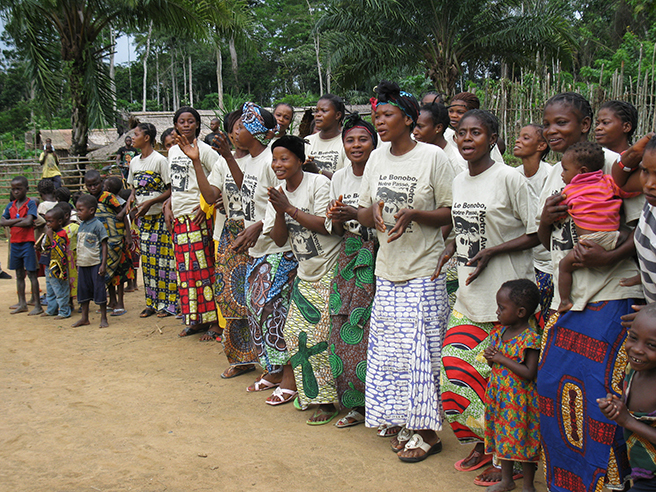 It’s hard to overstate the ecological value of the Congo Basin. The second-largest tropical rainforest in the world after the Amazon, the Basin is sometimes referred to as the world’s second lung for its ability to absorb carbon dioxide and release oxygen. 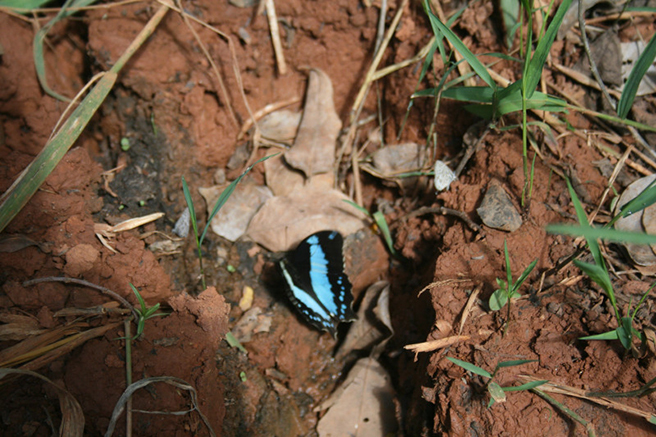 It’s also a treasure trove of endemic species. AWF ecologists, experts from the Tanzania Wildlife Research Institute (TAWIRI), and local community members embarked on an eight-day ecological survey of the Kolo Hills area in northern Tanzania. The team surveyed the presence and distribution of birds, small mammals, insects, and trees as part of a baseline biodiversity assessment to be completed before Kolo Hills can be validated as a REDD+ project site. Several AWF ecologists from different sites in Africa have joined the survey, including Nakedi Maputla, AWF’s Congo landscape ecologist. 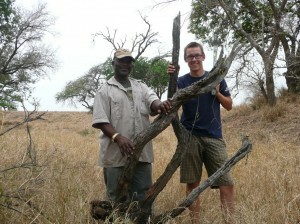 Albert Ndlovu, who works on one of the Timbavati properties, poses for a picture with student Lars Sund. Albert assisted AWF with setting up cameras at our Timbavati site while Lars gained valuable field experience. Nakedi works to obtain accurate data on leopard abundance in Kruger National Park. Photo courtesy of Stephen Ham. I am very sad to announce the passing of Mr. Ozias Kubayi who worked with us on the Leopard Project from November 2010 to May 2011. The time he spent with us, albeit brief was very pleasant and educational. 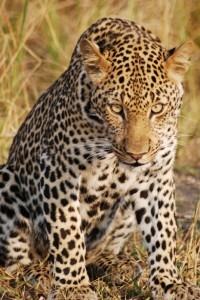 He was passionate about the African wilderness and was very professional in his approach. During my work with him I learned a lot, beyond just survival in the bush, but a whole new perspective on life. With this, my condolences go out to his family.